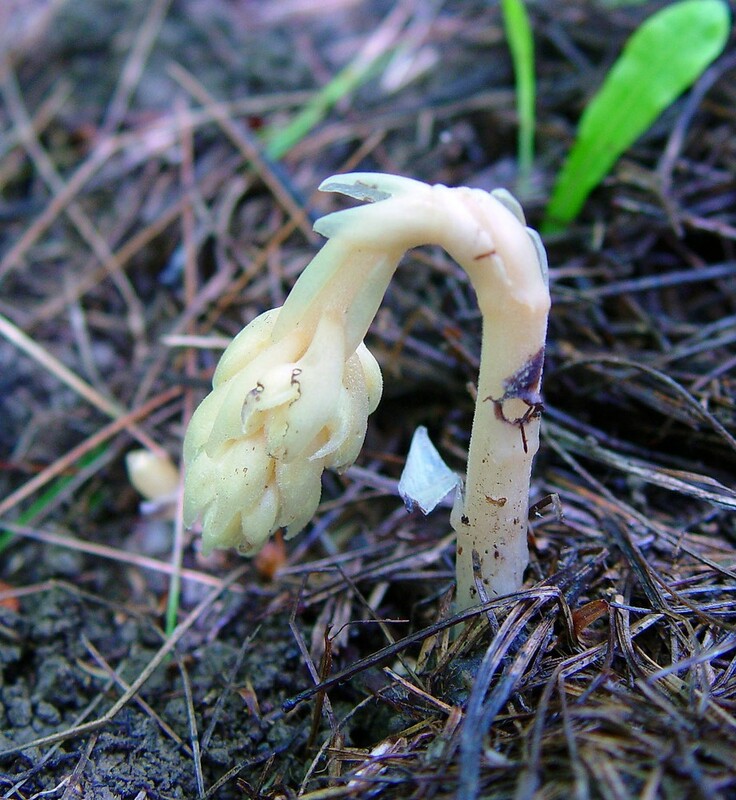 The yellow pine-sap is a mycotroph, and through parasitizing a mycorrhizal fungus, it receives energy produced through photosynthesis from the trees the fungus is associated with. 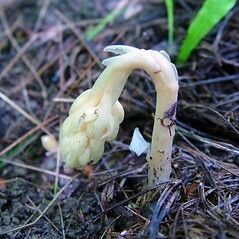 Like other mycotrophs, yellow pine-sap has no green tissues. 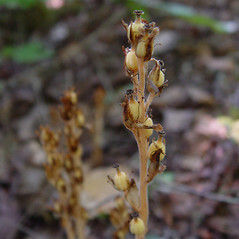 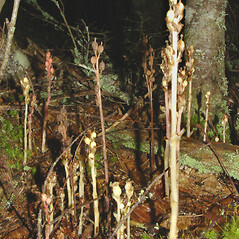 stems pink to red in life, and plants flowering mostly during the latter half of August and during September (vs. H. monotropa, with stems light brown to yellow in life, though sometimes taking a red tinge during fruiting, and plants flowering during June, July, and the early half of August). 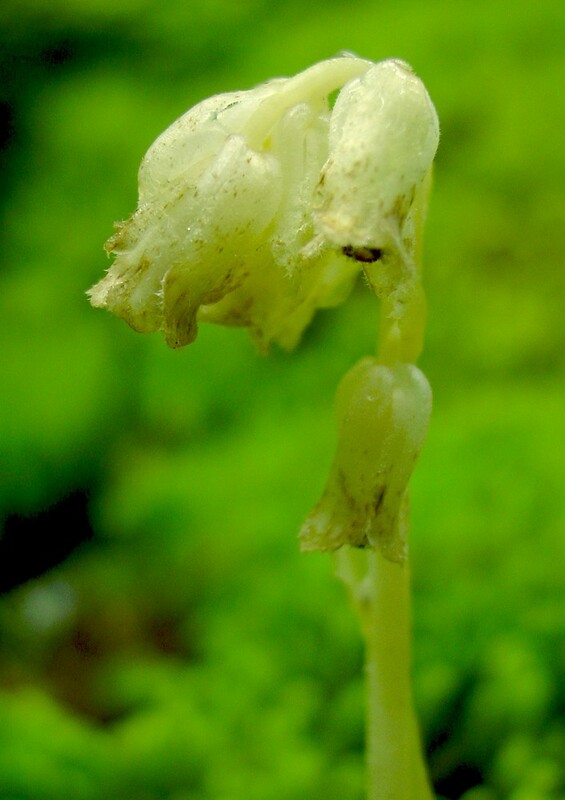 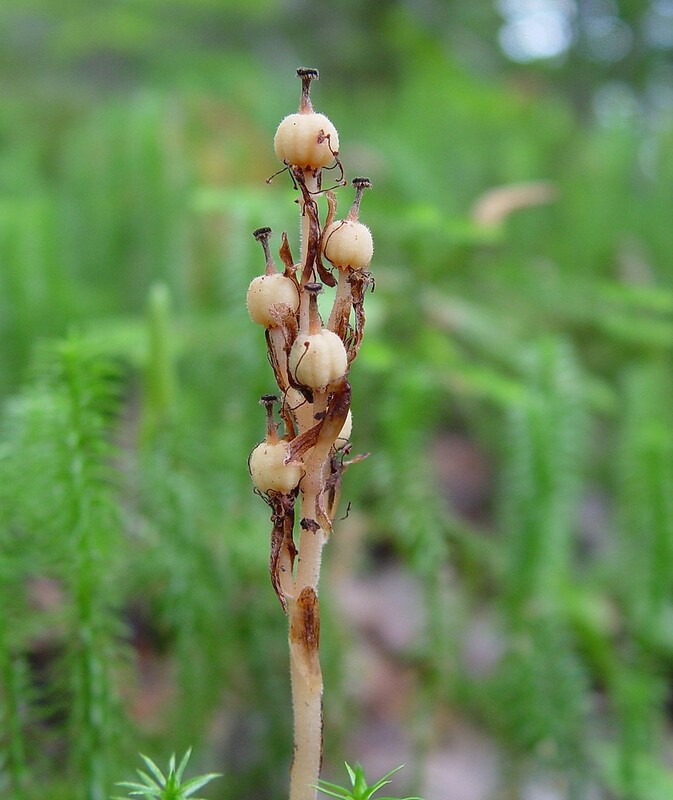 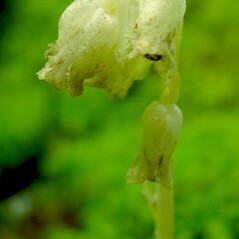 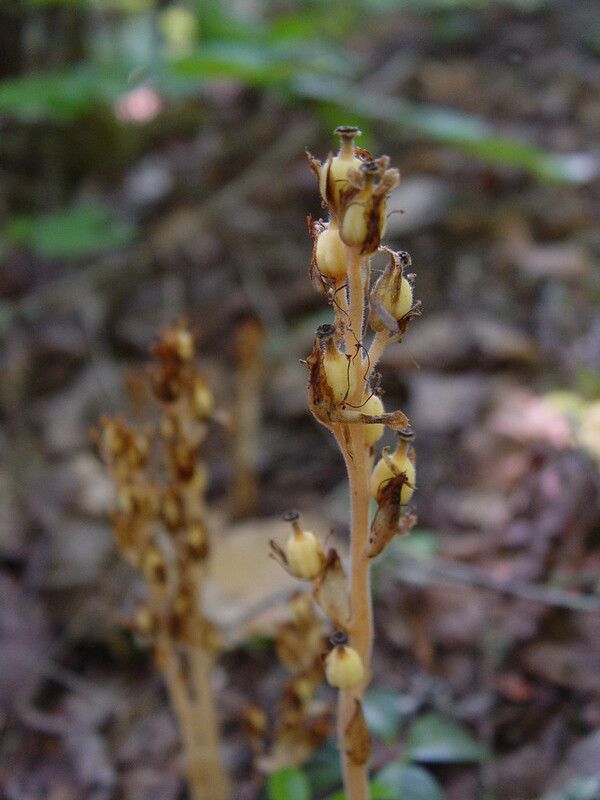 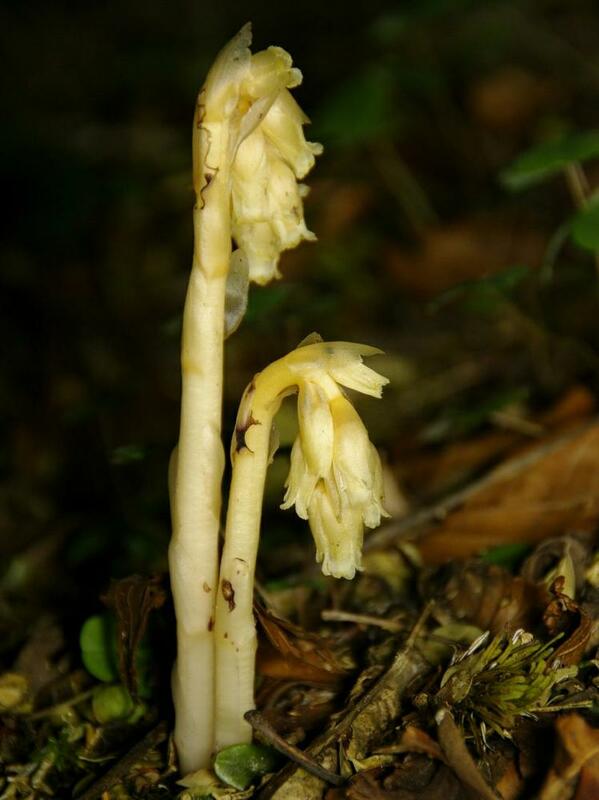 stem without hairs, with a single flower (vs. H. monotropa, with the stem hairy, with 2-16 flowers in a raceme). 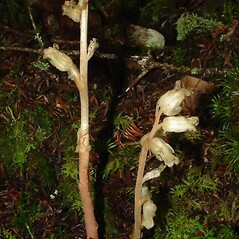 yellow pine-sap. 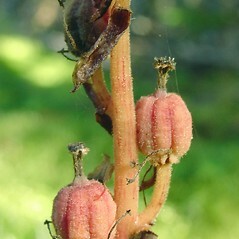 Hypopitys americana (DC.) 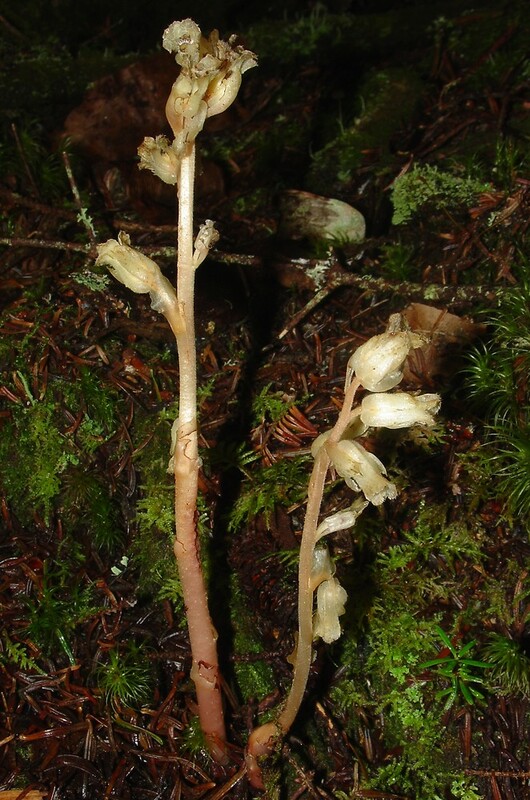 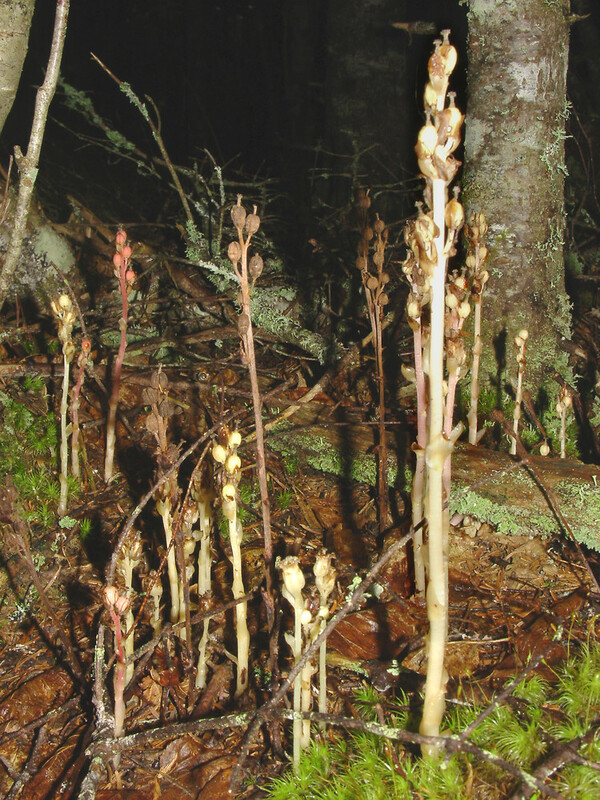 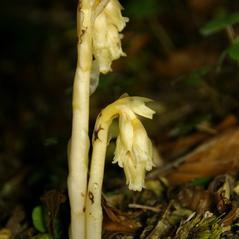 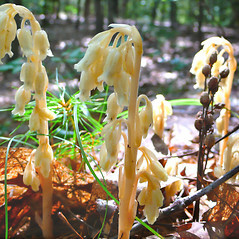 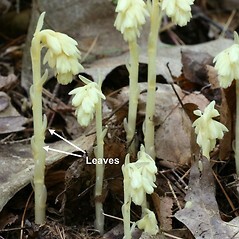 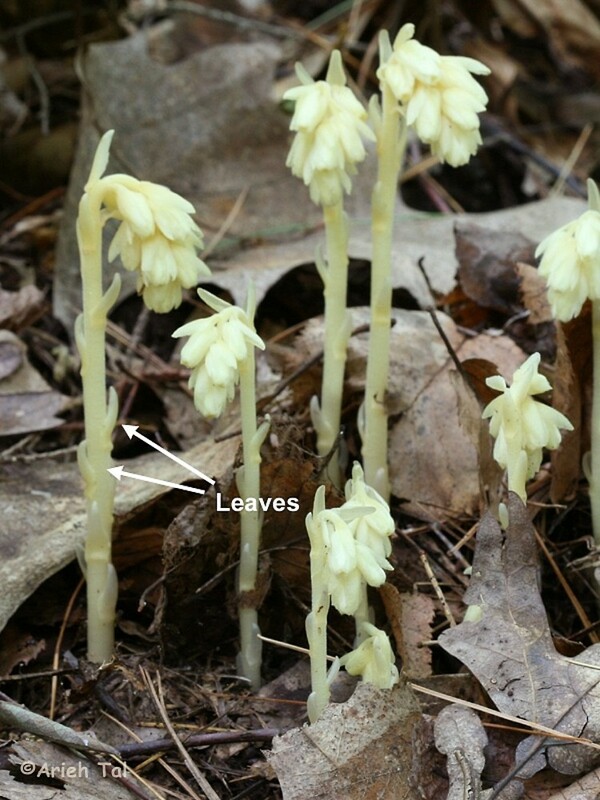 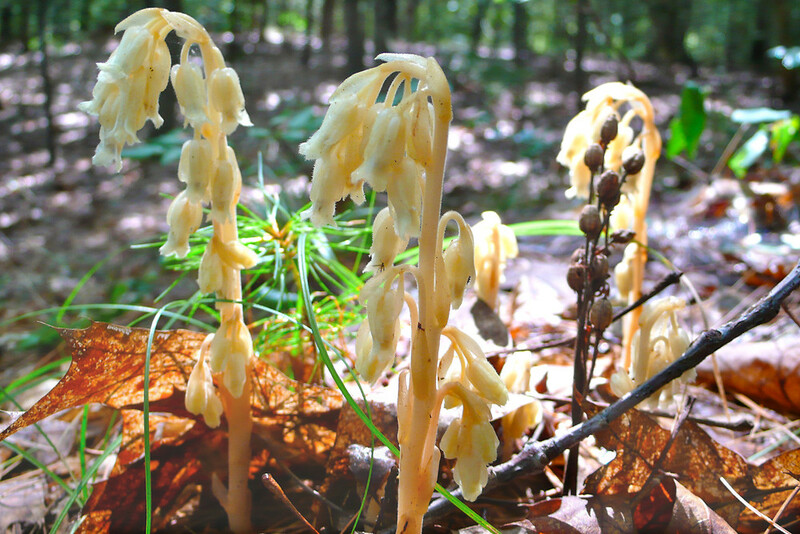 Small; Monotropa hypopithys L. • CT, MA, ME, NH, RI, VT; nearly throughout. 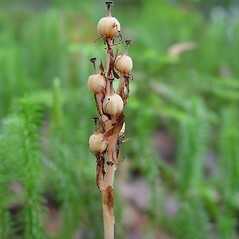 Forests, woodlands, frequently associated with Pinus and/or Quercus.